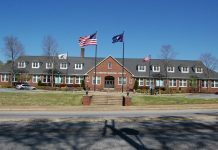 Williamston Town Council heard several comments and reports during their regular monthly meeting Monday. Among information presented was a special request from a local three time national karate champion, Envision Williamston report on investments of $2 million dollars, a new community policing initiative and accepted a donation to the recreation program from a local industry. Council heard comments and questions from Bonnie McCullough on issues on East Carolina Street including the town’s landlord nuisance ordinance. Ronald Rowe requested use of the town auditorium for training sessions for his son Gregory. Eight year old Gregory Rowe is a three time National Karate Champion and will be training in Williamston once or twice each month with Grand master Dean Plye of Ft. Walton Beach Florida. 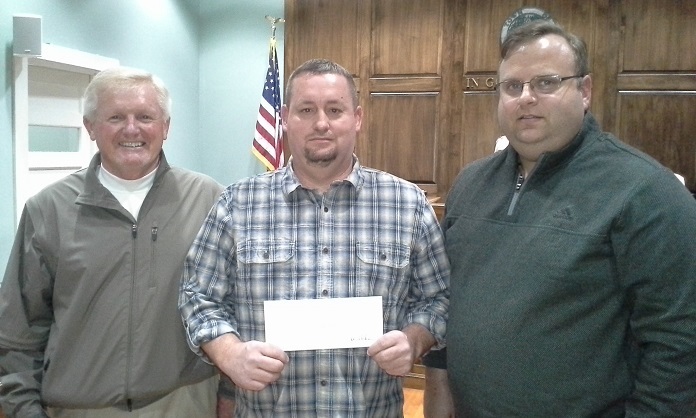 Milliken representatives Terry Blackston (Human Resources) and Plant Manager Kevin Cox presented the town with a check for $3000 for the recreation department. Williamston Recreation Director B. J. Tomkins accepted the donation from Milliken. Blackston said corporate wide Milliken is helping local communities through their “Milliken Gives” program. “Years ago Milliken had a big presence in the community. We are trying to be a presence in the community again,” he said. Williamston Mayor Mack Durham thanked them for the donation and said the recreation program has grown to over 800 participants. Williamston Police Chief Tony Taylor reported that he had attended a continuing education program on Bridging the Community and Law Enforcement which focuses on community policing concept. He said the town and department are working on implementing a new pilot program for community and problem oriented policing. The pilot program is an initiative of the mayor for the community and law enforcement to work together to solve problems. Volunteer Renee Pressley will be working with the police department on the program. The program offers residents the opportunity for commitment to partner with the police in finding solutions and eliminating problems, Chief Taylor said. Envision Williamston Executive Director Sonya Crandall reported the Adopt A Rest Stop program now has nine locations and five more are being added, for a total of 15 or 16 throughout downtown area. A sail shade has been installed over the Autech rest stop location near the fire department on the Mineral Spring Trail. 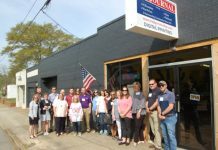 Crandall said the program will be announcing additional facade grants of $39,500 soon and with other public and private partnerships the program has seen more than $2 million investment in Williamston. She said there have been two recent grand openings for new businesses and the program will look into recruiting for residential and light industry. A mobile app and radio advertising will reach out to new markets, she said. A new project that will happen soon is 12 decals will be placed on vacant buildings suggesting what type business would be good in that location. Envision Williamston is also working on a new Welcome Sign on Anderson Drive and a mural project. Forty-two new street banners have also been placed along Anderson and Greenville Drives. Debbie Chapman provided a codes report. Chapman said there were two cases of littering in which someone was evicted and left a large pile of trash. Chapman said the property owner is responsible for cleanup in these cases, not the town. She said two piles of mixed debris were addressed and tenants were advised to separate trash into proper categories. Two reports of open burning and two cases of large limbs that needed to be hauled off by the property owner were addressed. There were two complaints of animals running at large and one complaint of a chicken running at large. Two vehicles without tags were addressed. Chapman said that anyone doing business in the town will be checked for a business license and building permits. She reminded residents that leaves must be bagged separately from other yard clippings and leaf burning is not allowed in the town limits.